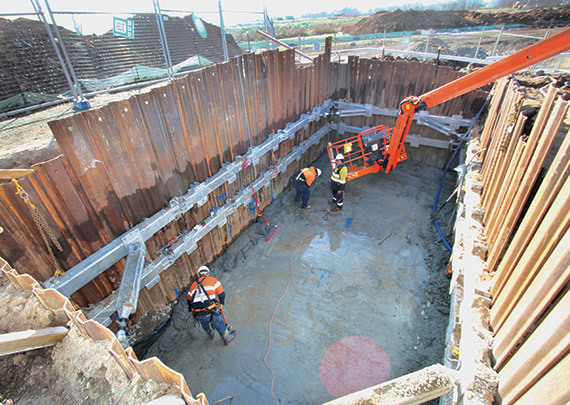 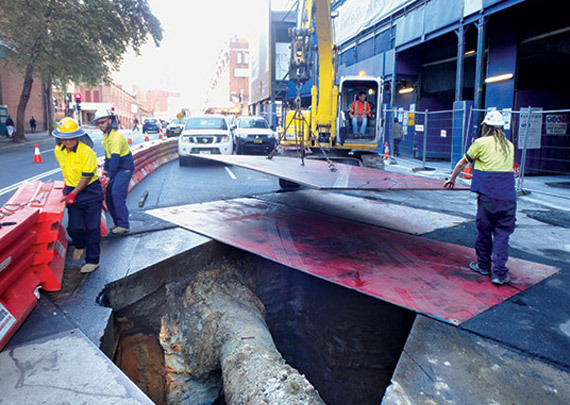 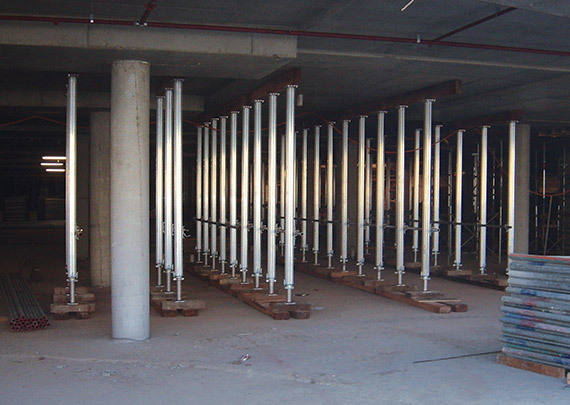 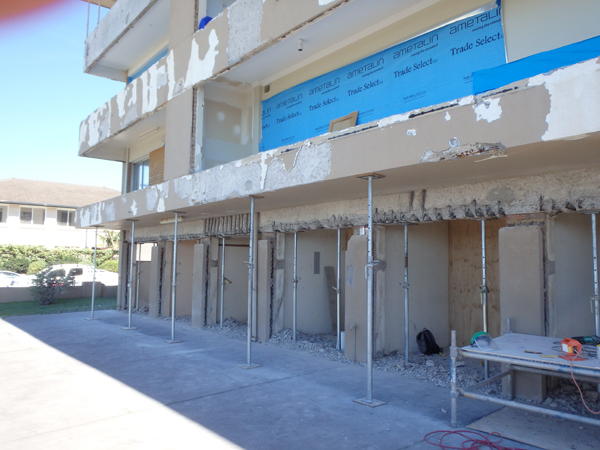 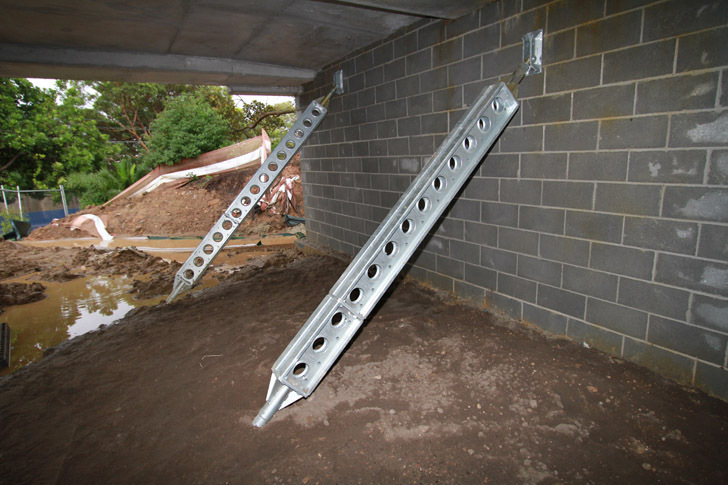 This large construction undertaking in Vaucluse in Sydney required back propping and slab support for an entire new floor, to support the additional construction above. 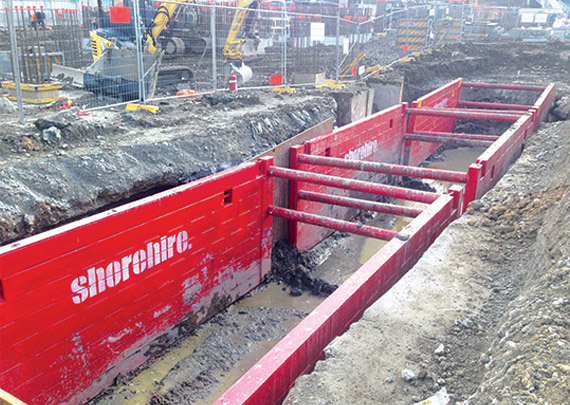 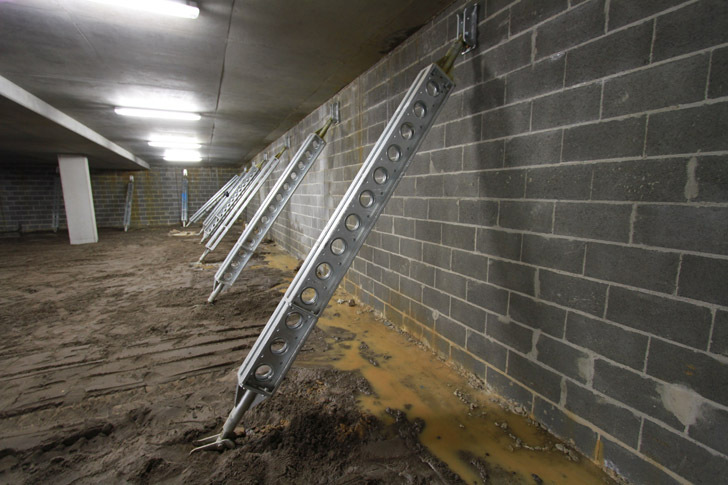 Shore Hire’s engineer identified that a combination of heavy duty back propping and raking shores would be necessary to provide adequate support at this job. 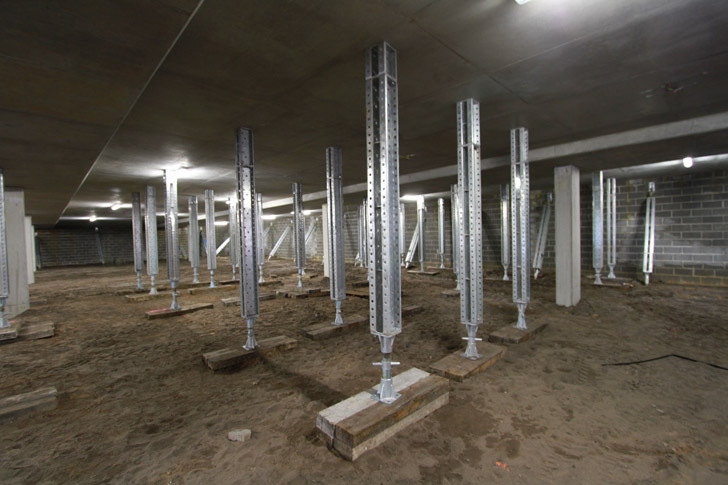 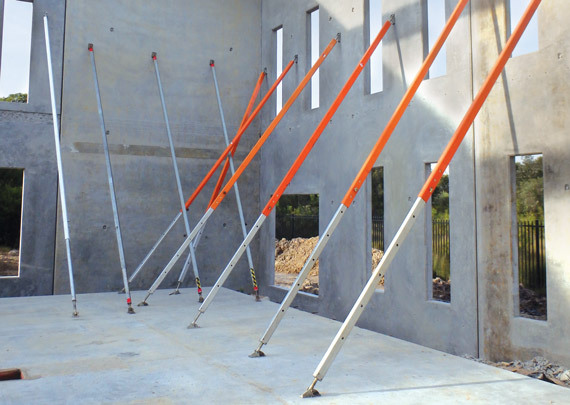 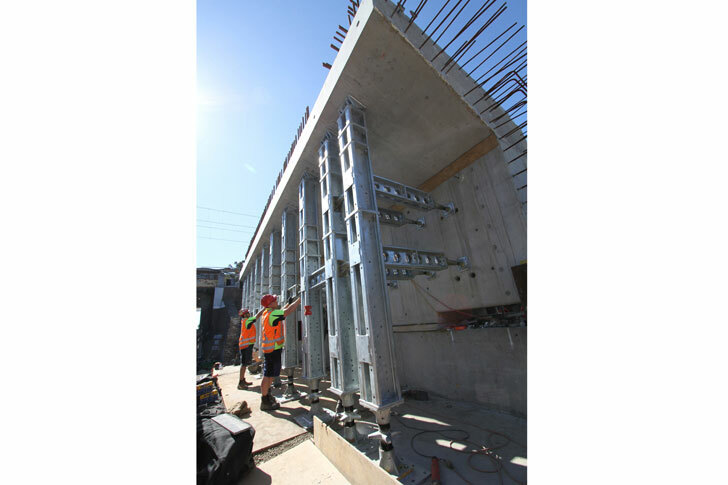 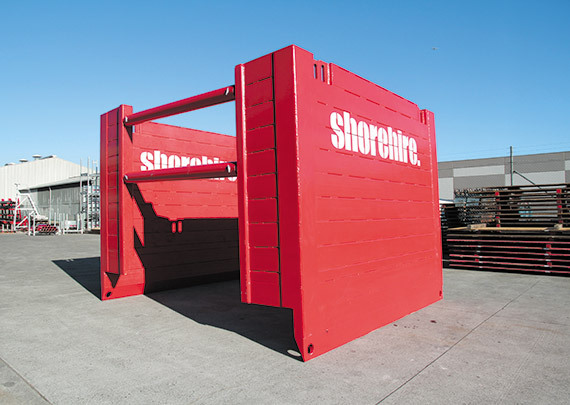 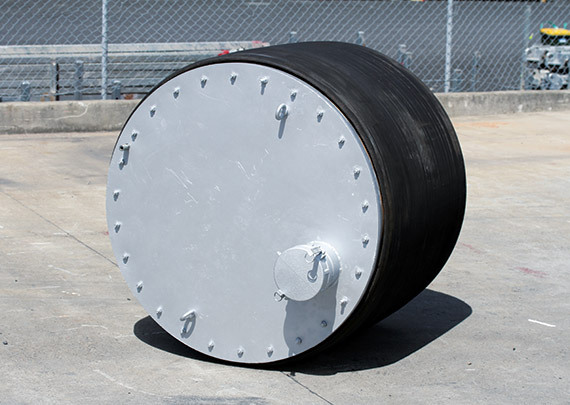 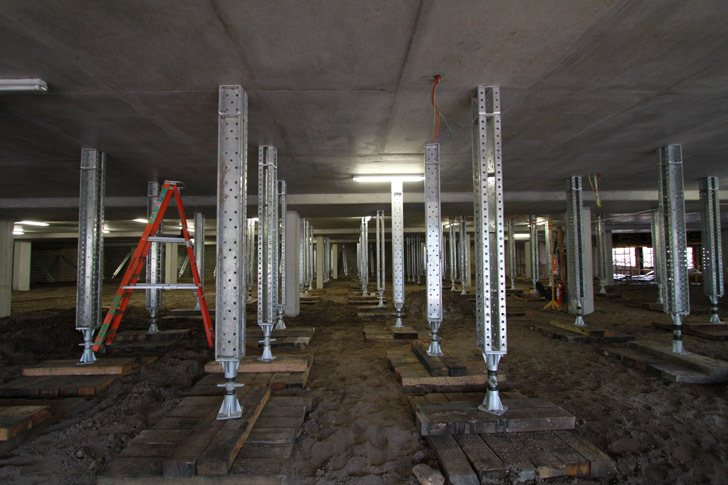 To this end the flexible Shore 400 and Shore 100 systems were provided; the Shore 400 was used for heavy duty back propping and the lighter Shore 100 was applied as a raking shore system for the side walls. 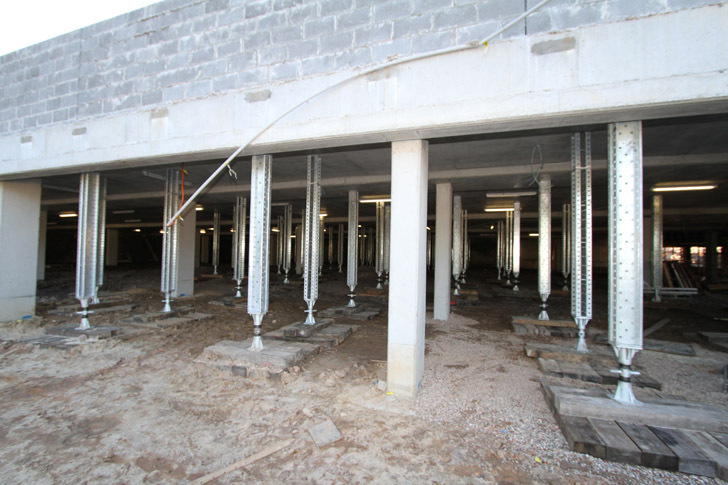 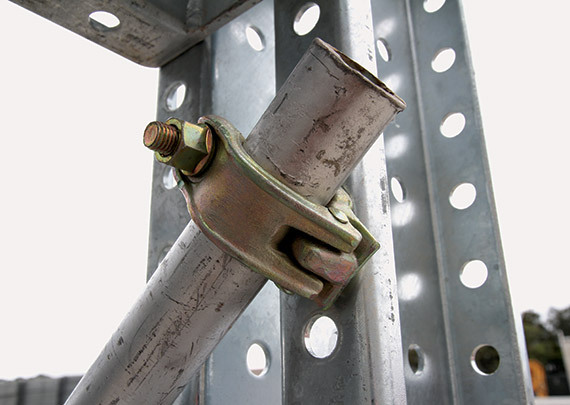 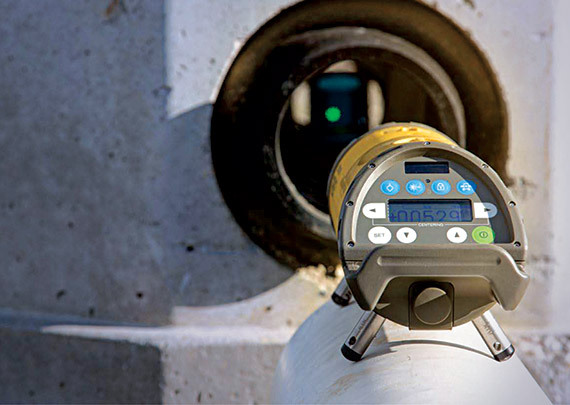 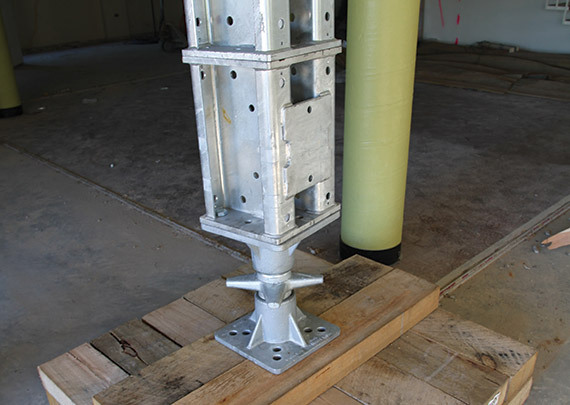 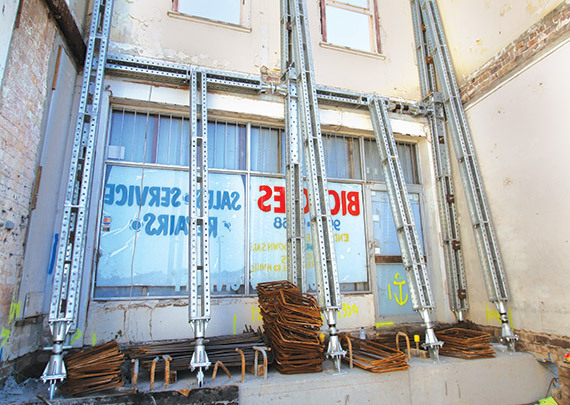 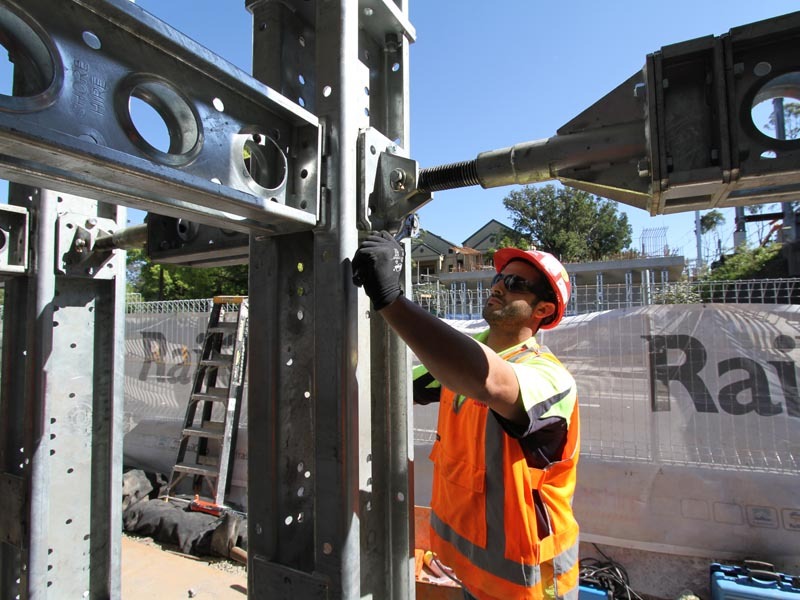 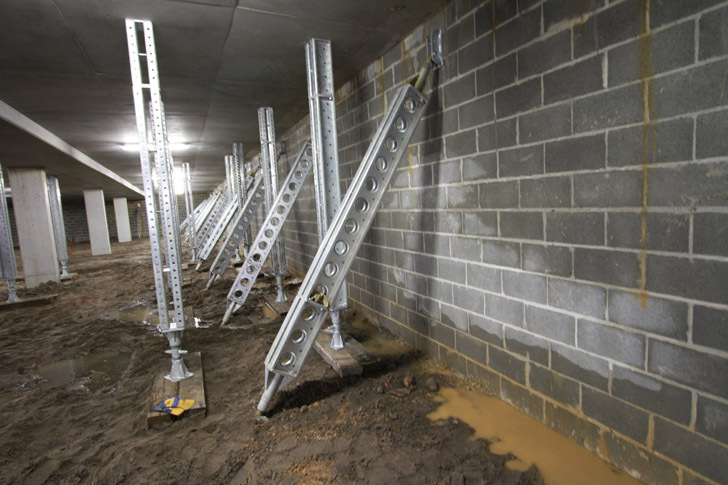 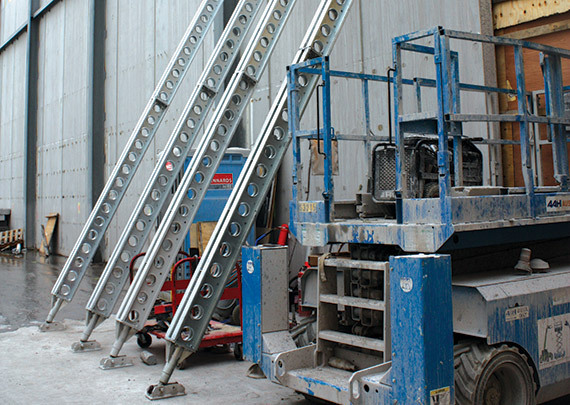 The combination of flexibility, ease of assembly and heaving duty propping capability ensured a highly effective propping solution to this job, enabling above-floor construction to continue in a timely manner.